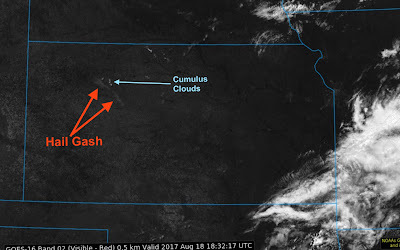 Tuesday, I posted about a rare hail gash in northwest Kansas. It is still there as of 20 minutes ago and it has become more apparent as surrounding vegetation has continued to grow. That was one heck of a hail storm! !